Its history started in England, where this holiday was established in 1984. Snowdrops start to blossom from January to April, depending on the climatic zone. As in England these flowers blossom in the middle of April, the holiday was tied to this period – the beginning of spring and warm sunny days. Snowdrops are very popular there, and attitude to them is particularly tender. 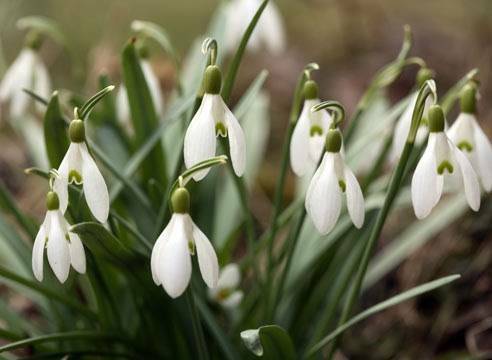 It is thought that this is connected with old English belief that tells that snowdrops planted around the house will protect its inhabitants from evil spirits. First of all, snowdrops are first flowers which appear after winter and symbolize the beginning of spring, triumph of warmth, and give the hope for better. Today snowdrops grow on numerous territories on the Earth, there are about 20 species, almost all of them are in the Red Data Book of Ukraine and other red lists.